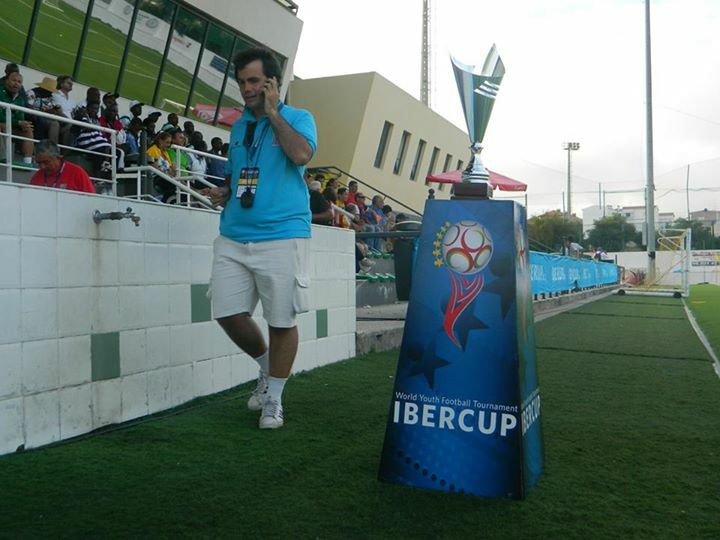 Daniel Curcio is the referee director at the Ibercup and other big international tournaments. 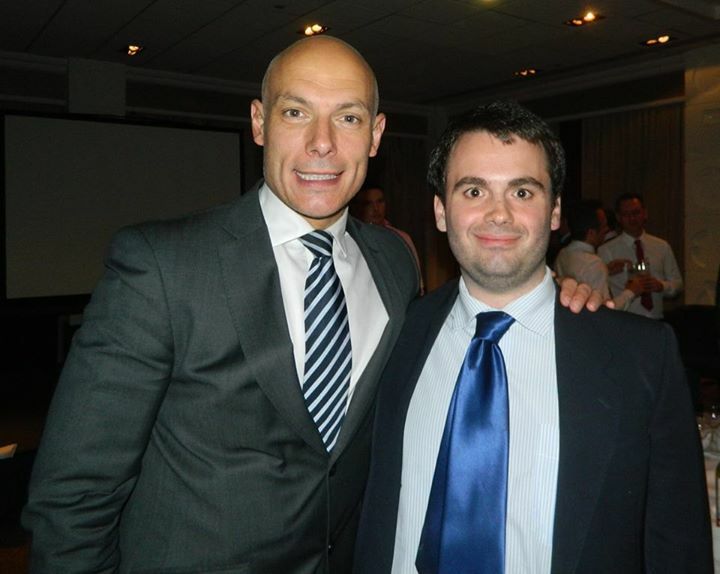 He tells you how you can become an international referee yourself. “Referees can learn a lot from refereeing international teams”, Curcio says in an interview with Dutch Referee Blog. It is a great way to develop yourself as a referee. Referees can apply now for the 2016 international tournaments like the 3 Ibercups and a tournament in Paris. Why should they apply? 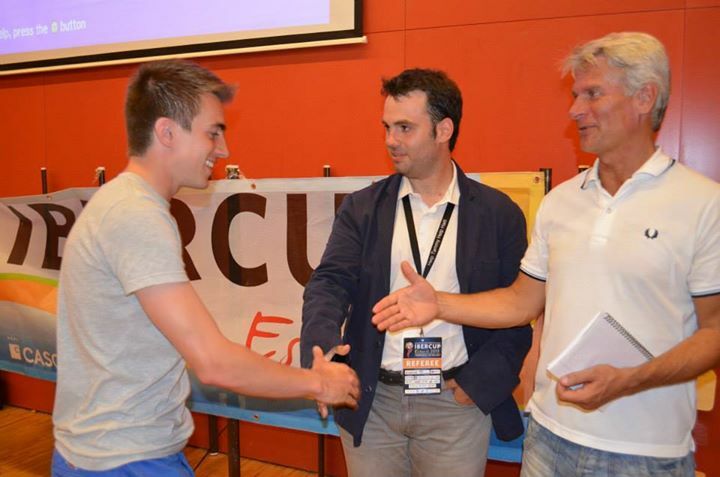 Daniel Curcio: “I believe there are many advantages in applying for an international tournament as a referee. First and foremost development. Referees can learn a lot from refereeing international teams, some from Europe’s top club’s academies. Just think about the challenge of refereeing a team from the UK against one from South America for example, two different styles of play, two different approaches to the game and the referees there, in the middle, in need to strike a balance. Also, referees can work and learn from other officials from all around the World. Both the Ibercup and the Paris World Cup see every year the participation of more than 100 young and promising referees from more than 20 different nations. So yes, development is the first reason why a referee should consider applying for an international tournament, in my opinion. What are the other benefits of refereeing there? 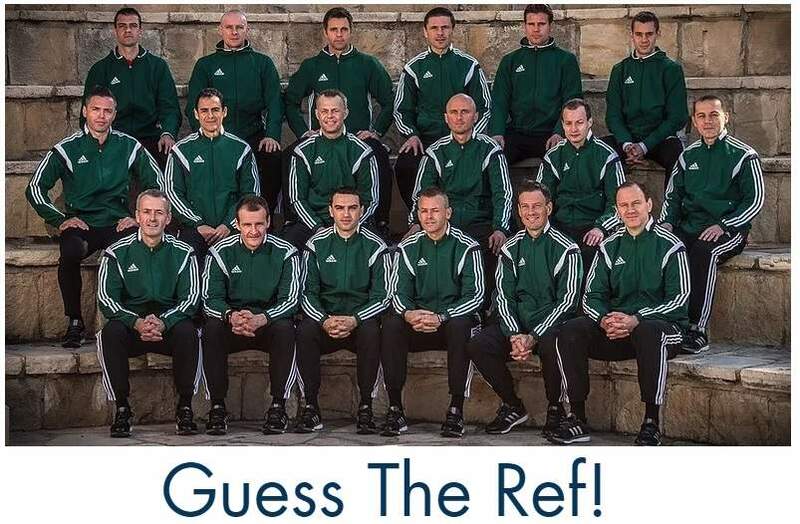 Meet top class FIFA and UEFA officials who attend the tournaments every year, in 2015 FIFA referee from England Mark Clattenburg, former FIFA referee from Algeria (and referee of the 3rd/4th place final at WC2014) Djamel Haimoudi, UEFA referee committee member Jozef Marko all attended. In the past other top class guests the likes of Peter Frojdfeldt, Konrad Plautz, Istvan Vad, Alan Snoddy, Danny Makkelie all participated to our events. Get assessed and get coaching advice from referee observers from 15+ nations. Referee top class teams from all around the world, academies of top class clubs such as Atletico Madrid, Sevilla or Liverpool included. How can referees apply for the tournaments? Applying is very easy, they can do so either on the website www.refereeabroad.com or, for now, pre-apply for the 2016 tournaments on the google docs set up by Tournaments Abroad, which is the company that runs refereeing for both the Ibercup, the Paris World Cup and many other tournaments. We also suggest referees to put a like on the Facebook pages of Tournaments Abroad, Ibercup Referees and Paris World Cup Referees to get continuous updates on tournaments and places available. What do referees get in return for refereeing abroad at one of those tournaments? They need to pay just for their trip to the city where the tournament is held, and a small participation fee (around €30) which covers the costs of inviting top class guests to the tournaments. What is your role in those tournaments? My role in these tournaments is that of “Referee Director”. 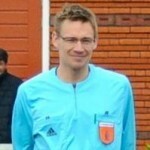 A lot of responsibilities are connected to this role but, in short, I am the person in charge of referees at both the Ibercup and Paris World Cup. I am also Tournaments Abroad’s President & CEO. Together with my staff we run the referee selection for all these events and then manage the referees groups during the events. Tournaments Abroad was founded by myself and Matthew Day, a referee from England, back in 2010 and responses to the request by many international tournaments I participated to as a referee for international referees. At the time I was just a normal referee who was attending many international tournaments myself such as the Dana Cup in Denmark, or Norway Cup in Norway. Now I stepped up, changed role and I’m the Referee Director, as well as a Referee Observer and Assessor even if, from time to time, I still like to referee a few games at youth level. How do you look back on the 2015 tournaments? The 2015 tournaments went really well, I believe that a lot of improvements have been put in place compared to previous editions. The level of the referees involved both at the Ibercup and Paris World Cup was excellent, and I’m very happy with the performance of every single one of our referees. I must say that, this year more than ever, picking the referees for the finals has been incredibly difficult. Also the participation of people like Mark Clattenburg, Jozef Marko and Djamel Haimoudi really improved not just the standing of the tournament, but also the experience every single one of our referees was able to live. The full list of tournaments can be found on www.refereeabroad.com but of course the most important ones are the Ibercup and Paris World Cup, as usual. Want to apply immediately? Go to the application form for the 2016 tournaments. What international tournament have you officiated? How was that? Hi just starting out on my second season as a ref and really enjoyed my first season at Schoolboy and Adult level in our Local League in Ireland.